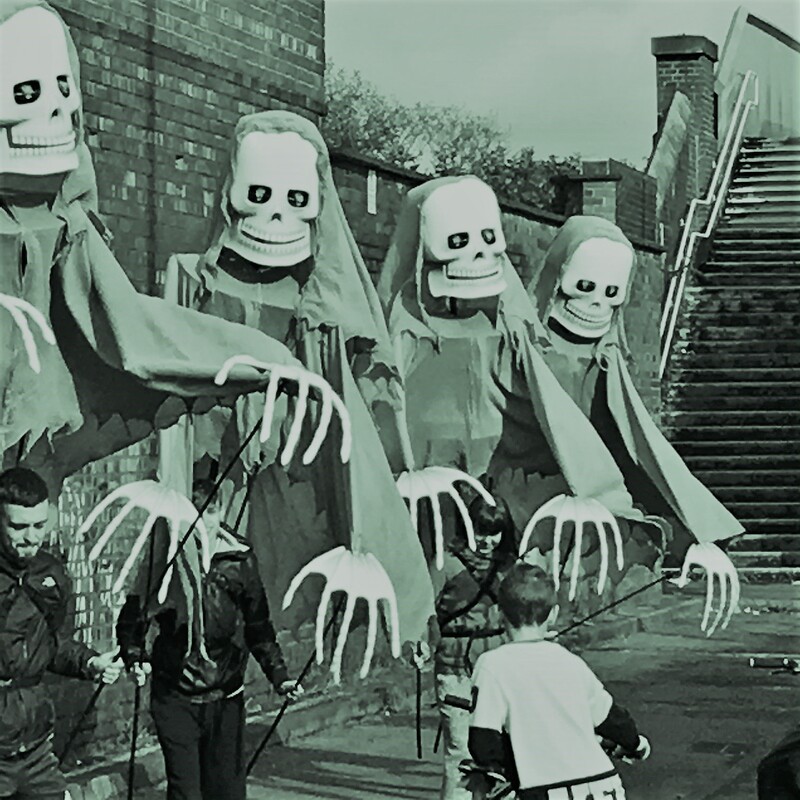 Inspired by a local resident, who suggested the theme would be useful for people in East Salford to prepare for a certain date later in the month, our second Fun Palace explored all things Halloween and spooky! 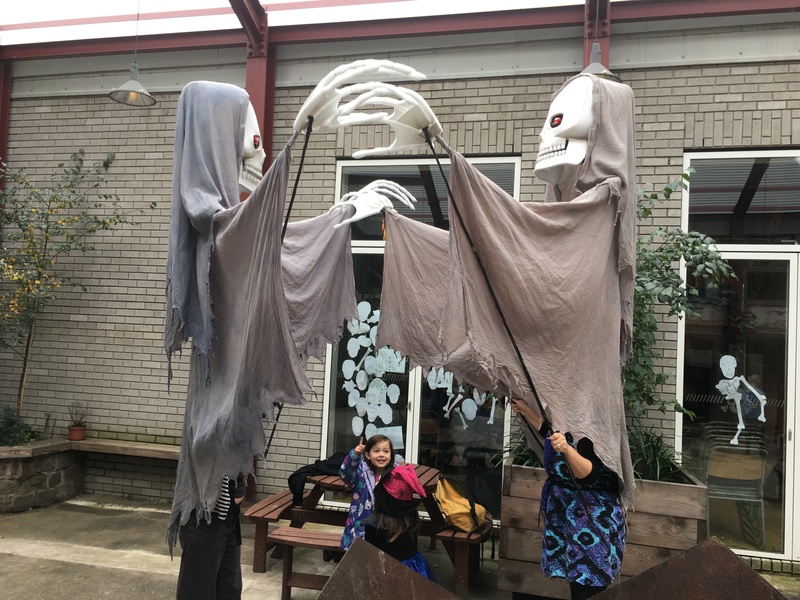 From pumpkin carving to Thriller dancing, taking in spooky storytelling and how to do your own scary face painting along the way, the weekend including a cabaret on Saturday evening … and ended with pizza cooked in the outdoor pizza oven for Sunday tea. Fun Palaces are part of a national network of annual events designed to bring culture in all its forms to local communities in as many ways as possible. The success of last year encouraged us to think a bit bigger and also to build the two days around an accessible theme that would appeal to everyone. Our creative hub in Salford was transformed into an open house with our dining area, rehearsal studio space and courtyard given over to a range of activities aimed at getting everyone, of all ages, having a go at something. The power of an event like this is the way that it's welcoming, easy going and fun. There's a lot of behind the scenes preparation to make it look easy but for everyone who took up our invitation to drop in the event was like a big family gathering. On the Saturday night, we staged our first cabaret in the our new(ish) home, inviting a mix of local performers to come down and entertain a small crowd. As with our day-time activities, the essence of the gig was to get people to come together. Our next Fun Palace will be on 5th and 6th October 2019. 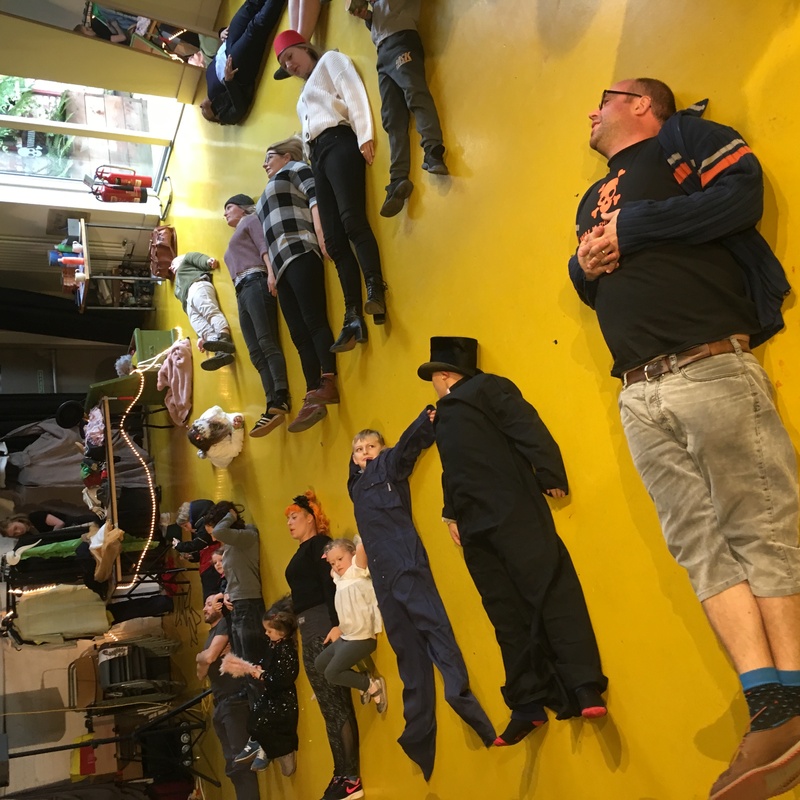 “Visiting Walk the Plank’s extraordinary Salford home early Sunday morning in the middle of Fun Palaces weekend was a revelation. It is a perfect space for a Fun Palace. Over the weekend, the local community had made it their own, working with Walk the Plank to create and be part of a weekend of activity that they could be proud of. Fun Palaces is not about empowering, it’s not about hierarchies, it’s about people coming together to share their skills and passions, to learn from each other, to do what they do, to do something different than they do and to have fun.